A dashing personality, a selfless attitude, a brave heart and strong patriotic feelings. Are these traits enough to qualify as a policeman in India? No they are not. These need to be unfortunately accompanied by having no aspirations for a better lifestyle, no dreams for the children's future and absolutely no concern for your own life. Why should it be this way? Just because a man loves his country and is ready to even sacrifice his life for it, does it mean he cannot wish good things for himself and his family? Unhygienic and improper working conditions, inadequate resources, duties on national holidays. To top it all, salaries which can put a municipality sweeper to shame, thats the story of an honest police officer. Don't get me wrong, I am not demeaning any job. It's only when the sweeper cleans the street that I am able to put my foot on it. All I'm saying is these men, who make it possible for me and you to step out of the house, for you and me to take our safety for granted, are never rewarded enough. We live in a funny world, where people who are working merely for themselves get big pay packets. And a man who strives for others, forget about being well-paid, he just about manages to make both ends meet. Whether it be a police officer or even say a doctor for that matter. Then again, most cops, while working for the benefit of the people have a tough time doing the balancing act. They risk offending the people in power, which could lead to unpleasant transfers, posting or actions. Yet they do their duties with passion. Yes there may be black sheep, but which profession doesn't have a few of those? It is very easy for you and me to get judgemental from a distance but it's not easy being in those shoes. Just try imagining. For the common man, a cop losing his life while on duty is just a piece of news. Something he reads, maybe even ponders about, and moves on. But that very incident changes the life of the deceased cop and his family. The brave police officers Karkare, Kamte, Salaskar, who lost their lives in the 26/11 incident shall always be fondly remembered as heroes. But those heroic acts of theirs which saved others' lives, impacted their kin's lives forever. There are many more such incidents, some reported, some not. Such is the life of a cop, and yet he treads cheerfully on this path with all sincerity, with a brave face and a solid heart. Why would you say am I blabbering on about the plight of a police officer today? 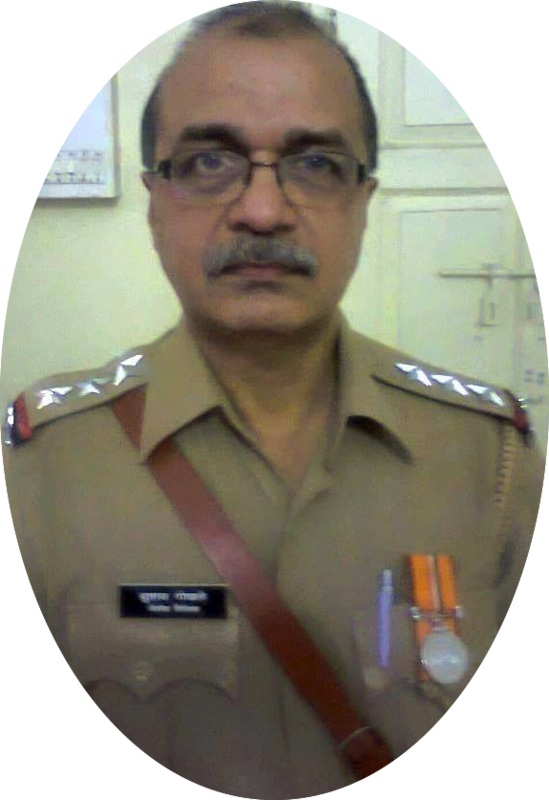 Cos thanks to one of my friends' Facebook posts, I read about one such honest and brave police officer, Mr. Gokhale. A few days ago, Mr. Suhas Gokhale was arrested, the evening before he was supposed to get retired. A diligent cop who spent 30 years serving the Anti Narcotics cell, fighting for making the drug Meow Meow illegal, was charged for being an aide to that very drug syndicate and is under trial. He has thankfully received bail and is out of prison now after a month long ordeal. But this came about only after his son Saket posted a heartfelt rendition on Facebook which went viral on Fathers Day, and then with well-wishers support he created a page, I'm With Gokhale. Yes Mr Gokhale is out of the prison now, but what about the physical and mental deterioration of his health over the last few days? Is that how we recognise the services of honest police officers? By framing them for selfish motives of self-centred powerful individuals? Forensic reports are by the way indicating that the so-called drug which was seized from a constable's house, based on which the arrest was made, was in fact ajinomoto! Inspite of being paralysed on the left side for 15 years Mr Gokhale had nowhere let it affect his duties as an officer. He was truly a man who deserved graceful retirement. But the world instead got to see a man broken down into tears while talking to the media after being released on bail. He is a strong man for sure. Only then is it possible to survive such a battle where you're fighting to preserve the dignity and respect you've rightfully earned over a lifetime. But what if he was weak? This could've easily taken a serious toll on his health. Also right now, he has only been bailed out. He is under suspension. When we feel it's our right to get services from police officers, and it is their duty to be honest and non-corrupt, it is also our responsibility to stand by them in their hour of need. And think about it, if a senior has to pay a price for being honest, what would the motivation for a junior be to work sincerely? If we want a strong motivated sincere police force to shield us, it is we who have to raise our voice for protecting their dignity. Mr. Gokhale, I want to take this opportunity to thank you and every police officer for the incessant work that you do. For the nights that you stay awake so that we can sleep. For the festivals that you miss so that we can be with our families. For all the important days in your children's life that you forego because you are busy protecting us. For all of this, and for all your diligence and dedication, I thank you with all my heart. It's times such as these when we truly realise the importance of social media. I'm in Singapore, and yet your story has reached me, and I shall in my own small way, spread it as far and wide as I can. I sincerely hope, that all Indians, whether here or in any other part of the world, will stand by you. As for me, I'm with Gokhale.